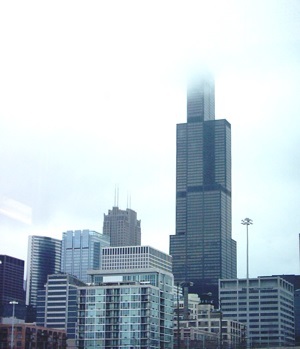 Located in Chicago, Illinois, the Sears Tower is the tallest building in the United States and was the tallest in the world from 1973 to 2004. The Tower contains the Skydeck observation deck, which is open to tourists, on the 103rd floor. This is 1,353 feet (412 meters) above the ground. Additionally, a second Skydeck is available on the 99th floor for the occasions when the 103rd floor is closed.